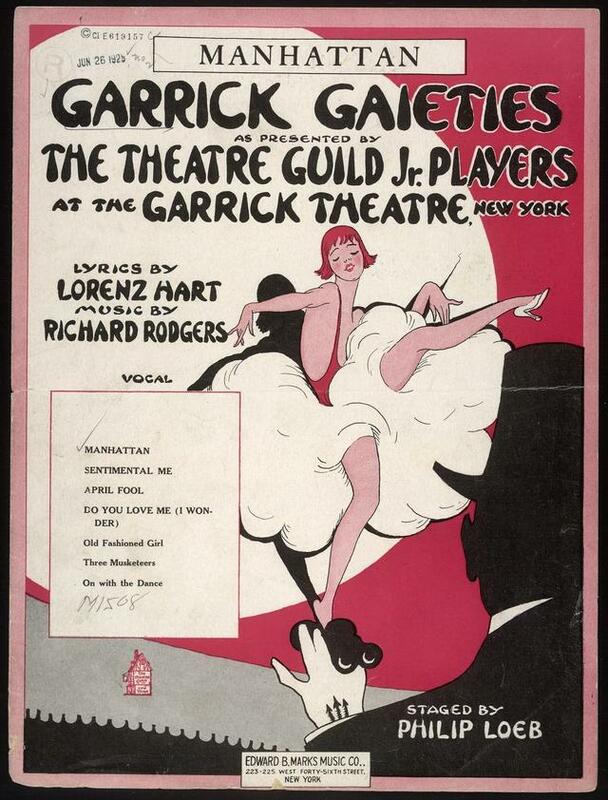 Manhattan (Richard Rodgers, Lorenz Hart) was written for the revue Garrick Gaieties which debuted in 1925 on Broadway and was the first of three Garrick Gaiety revues, which were subsequently produced in 1926 and 1930. 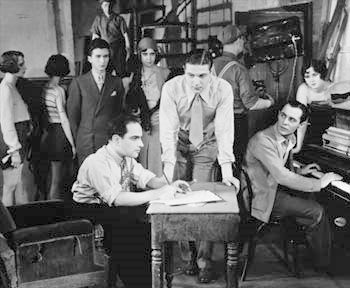 The show parodied current subjects, such as the New York City Subway system and the Theatre Guild (producer of the show). Ruth Tester & Allan Gould — The scene is from a film short called Makers of Melody, shot in the Spring of 1929, evidently a pilot for a series about songwriters. 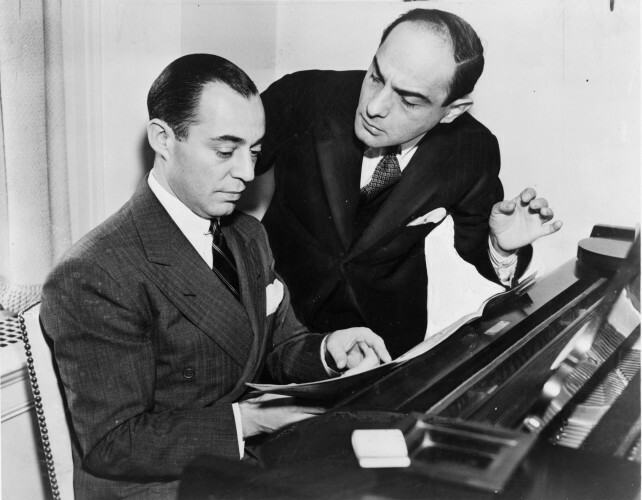 Richard Rodgers and Lorenz Hart play themselves in the twenty minute two-reeler. The image below is an excerpt from the biography Lorenz Hart: A Poet on Broadway by Frederick Nolan, 1995, p. 127. 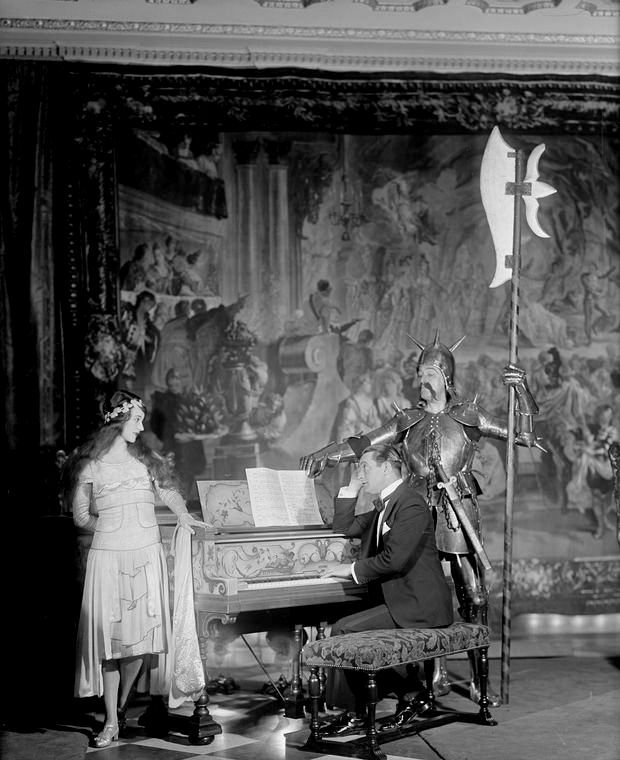 This performance retains the satirical element of the song, the caustic wit that Hart was known for, but which is lost on most later versions. 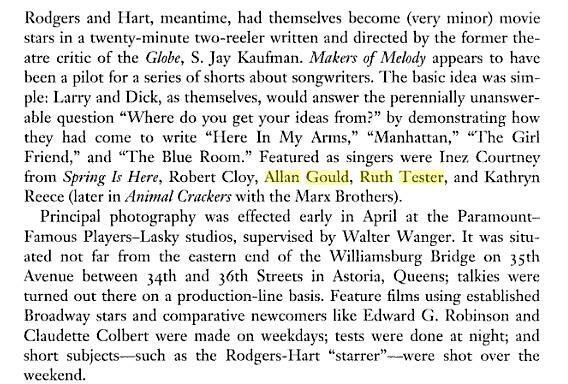 Makers of Melody is short film made by Paramount featuring Rodgers and Hart “demonstrating how they had come to write” some of their songs, apparently to a script, though one site describes it as an interview interwoven with song performances. It includes renditions of four songs: Manhattan, The Girl Friend, The Blue Room, and Here in My Arms. The last of these, although I don’t know their order in the film, is performed by Rodgers & Hart. It’s the only one of the four songs in the film which I haven’t found on video. Mountain Greenery – written for The Garrick Gaieties of 1926. It was first performed on stage by Sterling Holloway. Thou Swell was written for the musical comedy A Connecticut Yankee, based on the Mark Twain novel A Connecticut Yankee in King Arthur’s Court. Like most adaptations of the Twain novel, it focuses on the lighter aspects of the story. 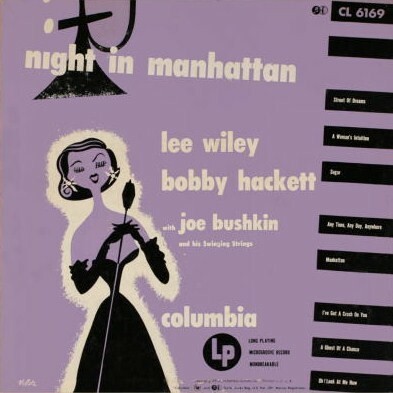 The music was written by Richard Rodgers, the lyrics by Lorenz Hart, and the book by Herbert Fields. It was produced by Lew Fields and Lyle D. Andrews. It enjoyed an original run on Broadway in 1927 of 421 performances and a number of revivals. This is Dearie’s first American solo album. 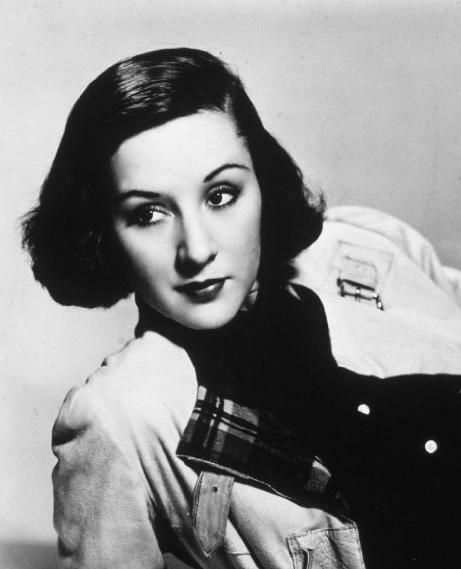 Already famous for the group “Les Blue Stars” of France and their French version of “Lullaby of Birdland“, Norman Granz personally invited her to record for Verve Records. The film clip of Deanna Durbin singing “Lover” is from “Because of Him” (1946), also starring Charles Laughton and Helen Broderick. Broderick is the woman in the clip who nods to Deanna, and you can see a picture of Laughton on Deanna’s night stand.